Pro Bono: Have you considered giving Gifts in Kind? Pro bono comes in many shapes and sizes. Sometimes it is one of our volunteer barristers stepping in at the last minute to donate their time and legal expertise to a deserving applicant who otherwise wouldn’t get access to justice, or it can be a supporter cycling 186 miles from London to Paris to fundraise for us. Sometimes it comes in the form of a filing cabinet. Serjeants’ Inn recently purchased a 4-drawer Bisley lockable filing cabinet for us. With 50 new applications received each week, this kind of storage space is invaluable to have, particularly in a GDPR-compliant world! As a small charity with often limited resources, we are always extremely grateful for any gifts of this kind. They don’t always have to be tangible: South Square generously hosted our staff and board members at our recent strategy day and other chambers including Erskine have also provided meeting space for us over the last year. We are delighted to be headed to Hardwicke for the first time this year for our bi-annual Reviewers Evening. Do you have space for us, either for special events or just for our team to hold the occasional meeting? Or if you are holding training for your chambers staff and have a couple of free spaces even at the last minute, why don’t you give the Unit a call to ask if any staff members would like to come along? Even the most simple of gifts or services could make a huge difference to us and improve how we operate. If you are looking to upgrade your technology and have a laptop or a coffee machine that needs a new home, please drop us a line and we’d be happy to take them off your hands! Or if your printer has done huge quantities for you and is happy to print a few leaflets or posters for free, please remember the Unit. We always welcome help with marketing, design, communications and PR if you fancy volunteering some time, or staff resource? All these pro bono gifts contribute in their own way to making the vision of access to justice for all a reality. The more efficiently we can work, the more people in need of legal assistance we can help. 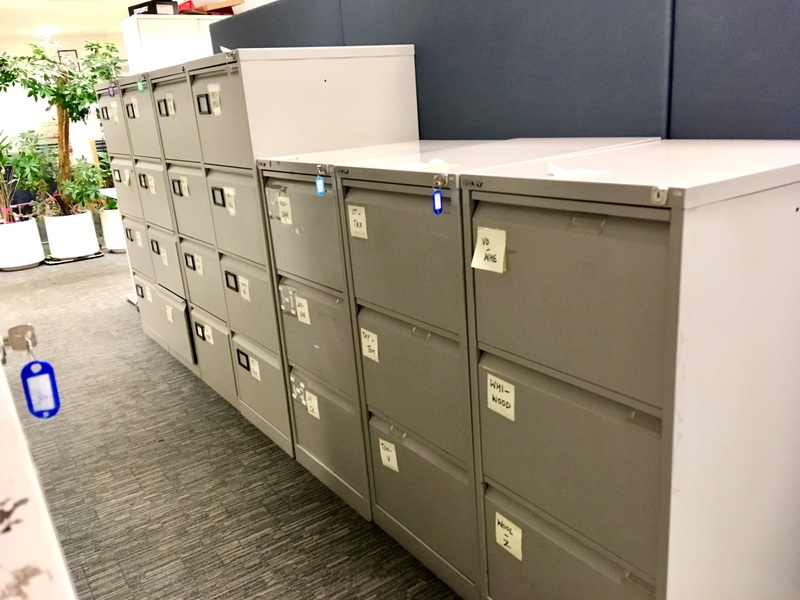 So have a rummage in your filing cabinets and see what you could donate (or, like our friends at Serjeants’ Inn, consider giving us the drawers themselves) and help us in our work to match as many people as possible with the legal help that everyone deserves.